Hovells Creek Landcare is a family-farm based, not for profit community group located in the central west region of New South Wales Australia, approximately 40 km to the south east of the regional town of Cowra and approximately 100km to the west of Sydney. 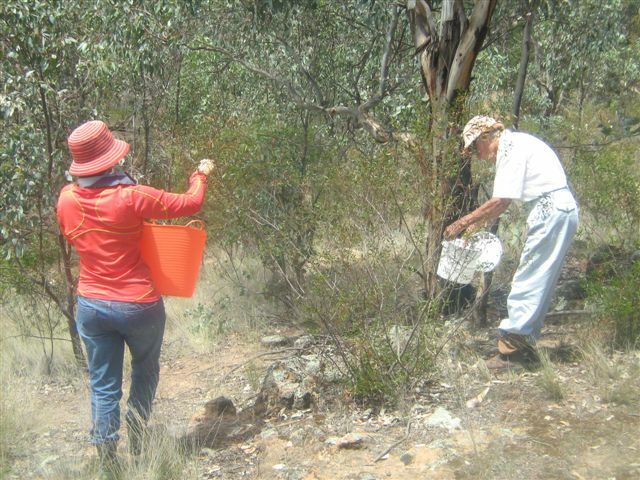 The properties on which the members of the Hovells Creek Landcare Group live and work are generally bounded by the Lachlan River and Wyangala Dam to the north and east, the Boorowa River catchment to the west and the Reids Flat road to the south. The epicentre of the group membership and project area is the roughly the intersection of Frogmore Road and Bennett Springs Road at Hovells Creek. To date, members have fenced 29 km of waterway, fenced 130 ha of remnant vegetation (to exclude domestic livestock) and planted 38,000 native trees and shrubs since 1996. Recently the group developed a regional biodiversity and conservation management plan. The group also holds on-property field days (for 20 – 50 participants) and regional visits for members and associates. Members have undertaken property mapping, NSW DPI facilitated Landscan, Prograze, Paddock Plants and LCMA facilitated Holistic Management, Pasture Cropping and Cell Grazing training programs. The group has successfully managed three National Heritage Trust grants, four Community Action Grants and coordinated several LCMA funded projects on member properties and public land. Meetings are held bi-monthly and are regularly attended by expert guest speakers.